The text messages were clear, to the point, and in stark violation of Georgia’s open records laws. 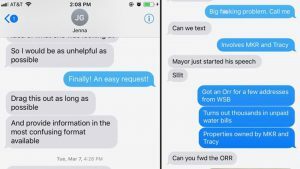 Sent back in March 2017 from the then Atlanta mayor’s spokesperson to an official with city’s watershed management department, the messages instructed how to handle requests for records made by television station WSB and The Atlanta Journal Constitution. Hard-working reporters at WSB-TV and the AJC had been probing whether properties associated with the mayor and his family were thousands of dollars in arrears in payments for water services. Ultimately, the “big [expletive] problem” that the city faced was not the embarrassing water bills, but the efforts to block the public from finding out about them. And the fallout has led to what could be a model for open government for Georgia. For years, citizens and journalists had complained that a slow-to-no response on records requests was standard for the city, so when the text messages came emerged almost exactly a year after they were written, they were a smoking gun. “Any person or entity knowingly and willfully … frustrating or attempting to frustrate the access to records by intentionally making records difficult to obtain or review shall be guilty of a misdemeanor,” the Georgia open records statute says. 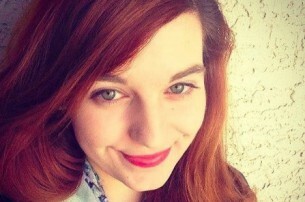 We at the Georgia First Amendment Foundation took a tough stand. Four days later, Georgia Attorney General Chris Carr asked the Georgia Bureau of Investigation to open the state’s first-ever criminal investigation into a potential violation of the state’s Open Records Act. The next month, the AJC and WSB filed a complaint with Carr, alleging “a culture of political interference” with open records requests at Atlanta City Hall, and requesting mediation to implement reforms for repeated violations of state law. The AJC and WSB-TV settled with the city in early October. Under the terms, the City Council and new Mayor Keisha Lance Bottoms agreed to take substantial steps to increase transparency and also to pay the news organizations $80,000 as partial reimbursement of legal fees. At the urging of new Mayor Keisha Lance Bottoms, the Atlanta City Council passed a set of sweeping open government reforms. It calls for a transparency officer, open government training for all city officials, a website to track open records compliance and penalties for city officials who don’t comply with open records laws. As for the settlement from the city, The Atlanta Journal-Constitution and WSB-TV announced an $80,000 donation to the Georgia First Amendment Foundation. We plan to use the money to provide open government training across Georgia. 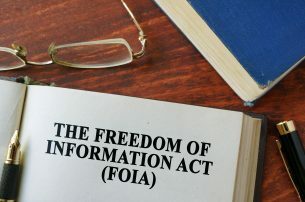 The Atlanta City Hall episode has illustrated for public officials the risks of not following the open records laws and raised interest in learning how to comply. That interest was on full display in October in Alpharetta, Georgia, when more than 40 public officials – including many records custodians – attended one of Georgia First Amendment Foundation’s training sessions explaining the requirements and intricacies of the state’s open government laws. In their questions, the officials showed they were enthusiastic about the benefits of open government and anxious to do the right thing. Now the city of Atlanta must provide similar training for its staff and elected officials as it implements the new ordinance and works to live up to its promises. If it does, Atlanta not only will give citizens the access to government that is their constitutional right, it will set an example for every city, county and state agency to follow. Twenty-six years later, those words still ring with clarity, a useful reminder for all public officials in Georgia that failing to comply with the law can quickly become a “big [expletive] problem” and how transparency is always the best solution. Griffiths is president of the Georgia First Amendment Foundation. Before he retired in 2017, Griffiths spent 43 years as a journalist, the last 20 overseeing CNN’s global editorial quality controls.